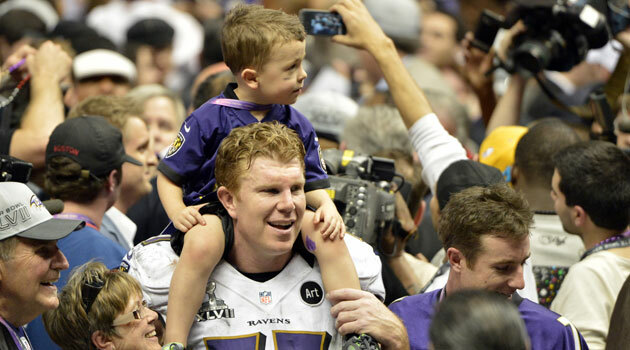 Former Ravens center Matt Birk skipped the Ravens trip to the White House this week because he disagrees with the President's stance on abortion. The Baltimore Ravens rolled into D.C. on Wednesday and hung out with President Obama in celebration of their Super Bowl victory. Not everyone was able to make it -- Cary Williams skipped for Eagles training camp -- but one name really stood out: Matt Birk. That's because the former Ravens center, who announced his retirement in February, disagrees with a political stance taken by the President. "Planned Parenthood performs about 330,000 abortions a year. I am Catholic. I am active in the pro-life movement, and I just felt like I couldn't deal with that. I couldn't endorse that in any way." Birk is allowed to express whatever beliefs he has; that's the beauty of freedom of speech in this country. Unfortunately, he wasn't accurate in expressing what the President said. As Mike Florio of Pro Football Talk noted, President Obama had a much different ending to his speech. “Thank you, Planned Parenthood," Obama said at the end of his speech. "God bless you. God bless America." That's a huge difference. He was speaking at Planned Parenthood, so I'm not sure who else he's supposed to thank. Birk can still disapprove and disagree with Obama speaking at Planned Parenthood, of course. And his stance, even though he's now retired, is sure to generate plenty of controversy.